April 21st, 2008, one day before Earth Day, proved an opportune moment for the grand opening of ReBuilders Source, a new worker-owned cooperative in the South Bronx. At 461Timpson Square, between Bruckner and Southern Boulevard, amid a number of warehouses and not much else, workplace democracy and environmental justice came together in exciting, innovative new ways. It was a bitter cold, Monday morning, and Timpson Square was not easy to find. There was no one to ask directions on the deserted, exhaust-filled streets, but when I got close, I could see that something exhilarating and magical was happening at this unlikely locale. A sizeable crowd gathered to hear the speakers, cut the green ribbon, and launch this environmentally friendly enterprise, which Omar Freilla, the charismatic, 34-year-old, executive director of Green Workers Cooperatives (GWC), described as the "first worker-cooperative re-use center for building materials in the United States (maybe even the world)." Among the presenters were Assemblyman Rubin Diaz Jr., and New York City Councilwoman, Maria del Carmen Arroy; the four cooperative owners-to-be (two women and two men), and Freilla, in whose mind and spirit the company had its original inception. As its name suggests, ReBuilders Source offers materials for construction; in its 18,000-square-foot warehouse, there are sinks, cabinets, windows, gardening items, shelves of tiles and 2,000 gallons of paint - either surplus or re-used items, sold at discount prices. These are available in bulk, but there are also unique donations: an old-fashioned popcorn machine and movie theater seats to match. At the kick-off event, one woman announced that she was donating two columns and a front porch from her estate built in the 1800s. 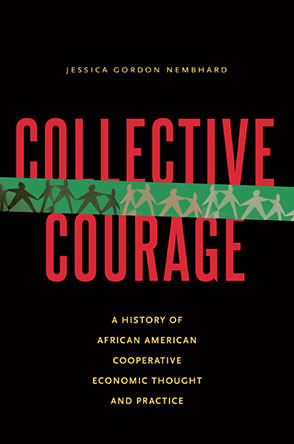 The cooperative, however, offers far more than these supplies; it is, itself, in the business of renovation, working to reconstruct the lives of its workers, its community, its borough, and as the business transforms into a movement, to reclaim its corner of the earth, environmentally and socially. Omar Freilla began this project by founding GWC, a group that would help local people to begin their own environmentally aware collectives. He then raised $900,000 from other cooperatives, churches, and the state. Meanwhile, he enticed members of the community with his fliers which read, "Fire Your Boss." Among those who responded was Gloria Walker. She was intrigued by the idea of running her own company, and soon found that she was well-suited to this work, as a long-time "dumpster diver" in the area. She described herself to me as "a Freegan"; the word, she pointed out, combined the consciousness of the "vegan" with the notion of "getting something for nothing." Addressing the crowd, Walker also made it clear that she knew the history of worker-ownership and that her vision extended beyond ReBuilders Source. She spoke of her desire to see the South Bronx transform itself into a new Mondragon, Spain, where the contemporary worker cooperative movement originated in the late 1940s and continues to flourish. There, the labor force engages in what Barbara Peters described in her article, "Spanish Town without Poverty", as "a caring form" of economic enterprise, without the extremes of rich and poor. The South Bronx is, of course, known for its poverty. It's also known as the dumping ground for all five boroughs of New York City. In the 1990s, it was famous for a lethal incinerator with its excessive carbon monoxide emissions. Currently, it is still regarded as a "waste transfer station" between wealthier areas of the city and distant landfills. Could it be that Freilla has found a way to turn New York's disregard for this forgotten space into an asset? As members of the cooperative find reusable treasures in the trash, they are both reducing waste and reclaiming their neighborhood. Assemblyman Diaz claimed that the choice to combine the struggle to earn a living wage with recycling efforts was extremely smart. Not only can these workers now take pride in owning their own company and sharing its profits, but also in the knowledge that they are, in Diaz's words, "protecting and defending Mother Earth." In speaking of Freilla and his ideas for the area, Diaz commented that he is "way too young to be this wise." One way to sustain a green, worker ownership movement and assure its future is to introduce it to the next generation. To do this, ReBuilders Source teamed up with a local high school, the Institute for Collaborative Education. As a result, twelve to fourteen students and three teachers come by and treat the collective as their own urban workshop in which they combine the scholastic skills they are learning in the classroom with manual labor. This year, they were asked to figure out the physics to design and build space-saving racks to hold the many doors the collective received; they then took out their hard hats and saws, and built them. Members of the ReBuilders Source collective commented on how impressed they were with the girls in the class who held their own with the boys during the construction. Along with this project, students tracked their hands-on experiences in writing. These teenagers are learning, not only academic subjects, but how to work with their hands cooperatively, as well as what it means for labor to own the means of production. The opening celebration for ReBuilders Source had a distinct Hispanic flair. A generous breakfast spread, including boiled and mashed yuka, was shared by all. After the speeches and a short tour of the space, two large Conga drums emerged from the crowd, along with their musicians, and began the rhythm and song. Among the tunes was a Puerto Rican Bomba about "el viento" or the wind. Freilla joined in, first playing maracas and then dancing with a number of different partners. His body swayed with a grace that was only outdone by the movement of his thoughts and actions. This Latino music may mark the joyous beginning of a new South Bronx; no longer the filthy, unsafe, disposable wasteland, but an emerging, empowered, environmentally conscious, creative space, or what Julie Falu Garcia, another worker-owner in the collective, says will soon be referred to as, "America's success story. Lauren Kozol has a PH.D. in English literature. She is currently teaching and writing in New York City.